Indonesian dairy company Cimory has introduced Yolite, which the company claimed to be the first yogurt drink + vitamin C in Indonesia. 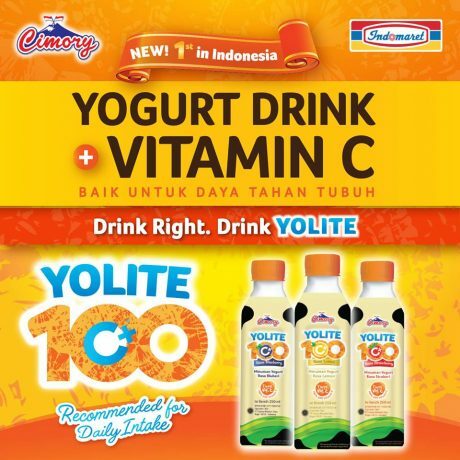 The call out of vitamin C on pack is an interesting concept for yogurt drink, which has always been focusing on gut health. We see new beverage launches in the region are increasingly highlighting functional benefits and placing ingredients as the “star” of the product. For example, Tropicana Essentials has three variants and each one is a source of calcium, iron or multivitamins. The key premise is consumers know what is their current gap in their nutrition.